David and Sue discovered they both really enjoyed gardening when they moved into their home in 1996, but the trees that were there when the family moved in have grown considerably over the years. ‘We bought three cordyline trees for £5 from a car boot sale,’ recalls Sue. At the time they fitted into a carrier bag, but now they stand 20 feet tall and tower over the garden, whilst Box honeysuckle and euonymus make neat borders, with an array of blooms for year-round colour. The couple’s garden won a prize at Kingston in Bloom in 2014 – its curved, clipped hedges creating structure, while painted furniture and decorative lanterns, along with the planting, give it a relaxed, country feel. 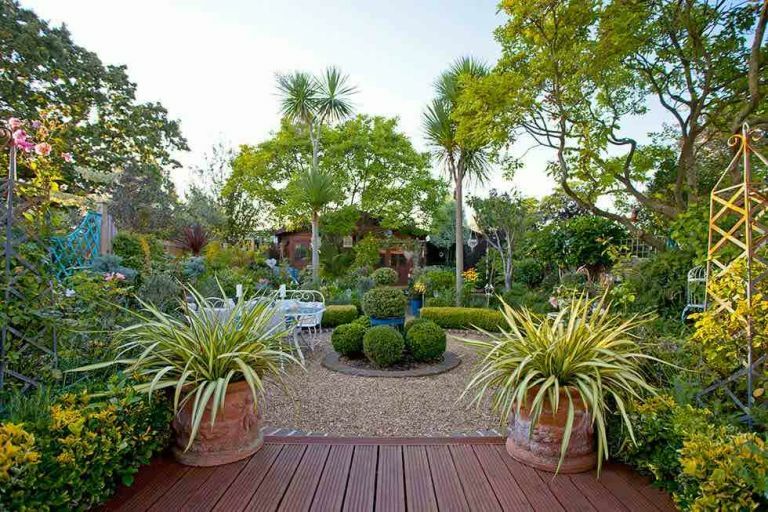 See more of this garden, then browse more real home transformations and find out how to plan, design and cost your garden transformation.